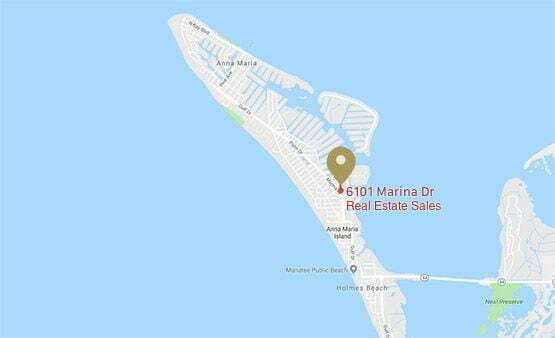 Contact Island Real Estate of Anna Maria Island Today! Island Real Estate wants to hear from YOU! We can be reached 24 hours a day/7 days a week via phone, email, click to chat or stopping by one of our two convenient locations. We'd love a visit to discuss the current Real Estate Sales market. Stop by Monday - Saturday 9 - 5 PM and even on Sunday 12 - 4 PM. Our location is in Holmes Beach next to the fire station at 6101 Marina Drive, Holmes Beach 34217.